Reveal vibrant, younger-looking skin with our targeted Anti-Aging Facial. Our Signature Facial utilizes concentrated Glycolic Acid to provide maximum exfoliation Our vitamin C Firming Masque helps mature skin to reverse erosion of elasticity and firmness caused by advanced glycation . You’ll see the dramatic, youthful difference when your EdgewaterMedSpa Medical Esthetician helps you lift away aging layers of dead cells and debris. Add a Biocellulose Masque to supercharge your experience! Our Deep Pore Cleansing Facial can be tailored to suit any skin type and is the perfect introduction to our menu of services. Experience a relaxing facial massage, remove impurities and increase circulation to reveal a youthful, healthy glow. A Purifying Treatment which is formulated for clients who suffer from recurring problematic breakouts. It helps to refine texture and soothe irritated skin, leaving the skin calm and reconditioned. The Gel Peel in conjunction with the Acne Facial adds effectiveness in helping control eruptions. Several treatments recommended. This treatment is ideal for dehydrated, aging, and environmentally damaged skin types. The use of specific cleansing, toning, masque, and protective products will help to leave a healthier, firmer appearance to the skin. Soothing masque creates a hydrophobic protective barrier to help facilitate the recovery process after facials, laser procedures, microdermabrassion, or solo for a replenishing and refreshing treatment. These Medical Grade Chemical Peels from SkinMedica address acne, blemishes, scars, and help improve pigment conditions such as hyper-pigmentation, melasma and photo-damage.. 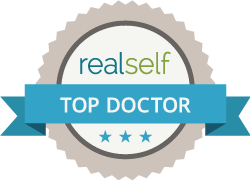 Results are visible after one peel and several peels recommended for optimal results. Vitalize = Moderate. Rejuvenate = Deeper. Call Fiorella on our Facial Hotline: 201-779-2006 Monday through Sunday available!